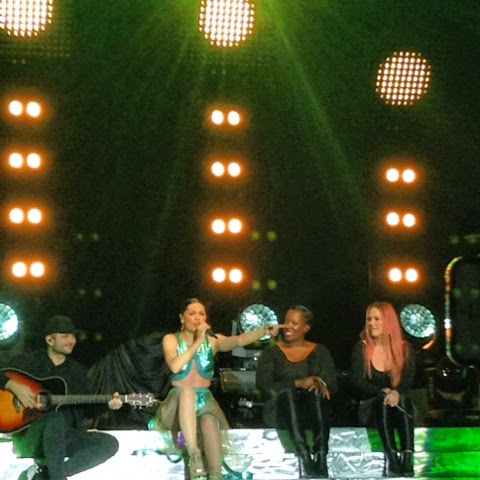 Last week I went to see Jessie J with my sister in the middle of a forest near to where I live. It was an outdoor concert and we were surprisingly lucky with the weather! We got so close to the front (which is always better) and had a really great time! Jessie J is so down-to-earth on stage and it feels like you're having a conversation with her, she explains what her songs mean so you can really appreciate them! Normally I'm more of a 'Kodaline' or 'The 1975' or 'Florence and the Machine' listener but both me and my sister loved every bit of this concert! !